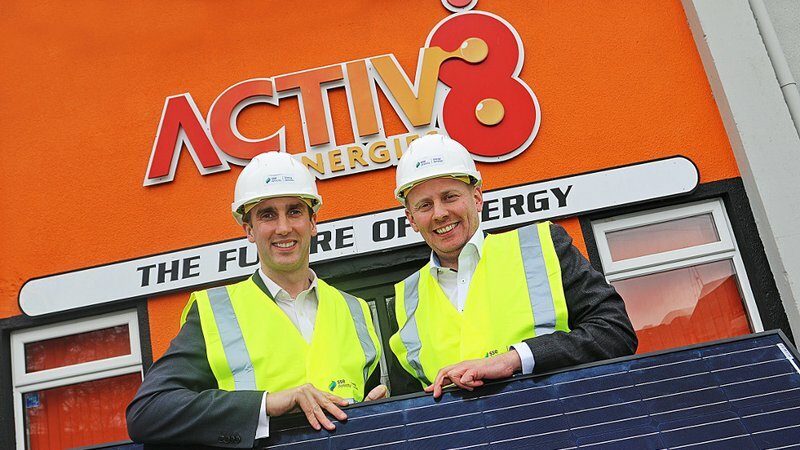 Irish utility SSE Airtricity has acquired a 40% stake in Activ8 Solar Energies, one of Ireland’s leading rooftop solar installers. SSE Airtricity has also retained the option to acquire a further 10% shareholding after two years. The deal, which is subject to approval by Ireland’s Competition and Consumer Protection Commission, will see Activ8’s existing management team continue to lead the firm. SSE Airtricity expects to complete the purchase in the coming months. The utility’s timing is particularly opportune considering that in February this year Ireland’s climate minister Denis Naughten revealed the country is to pilot a domestic, grant-aided microgeneration support scheme outside of the Renewable Electricity Support Scheme. Carrickmacross-based Activ8 has installed more than 7,000 solar systems throughout the island of Ireland, perhaps most notably a 420kWp system atop the SSE Arena in Belfast which was completed last year. It has also been one of SSE Airtricity Energy Services’ preferred partners for SEAI-supported domestic and community-based retrofit solar schemes since 2016. Stephen Gallagher, director of business energy at SSE Airtricity, said the acquisition was “yet another significant step forward” in the growth of its commercial and domestic energy services provision. “Activ8 has a very strong team which is the driving force behind the company’s success. Now, subject to approval by the Competition and Consumer Protection Commission, Activ8 and SSE Airtricity are poised to bring our combined strengths and unique offerings to a much-wider domestic and commercial customer base, including SSE Airtricity’s 750,000 energy supply customers across the island,” he said.